Most people are fairly familiar with the effects that drinking alcohol can have on their driving performance. Alcohol loosens inhibitions, so people are apt to take more risks even as their reaction times are slowed, and they can become more easily distracted and unable to concentrate on driving. Alcohol can also impact a driver’s sense of direction and their ability to judge situations on the road and make good decisions. Other types of drugs have similar, although not identical effects. The National Highway Traffic Safety Administration’s most recent National Roadside Survey of Alcohol and Drug Use by Drivers found that the number of drivers with alcohol in their system had declined by nearly one-third since 2007. But there wasn’t much cause for celebration; the survey also found a large increase in the number of drivers using marijuana or other illegal drugs. Nearly one in four drivers tested positive for at least one drug that could affect their safety on the road, according to the NHTSA. Here’s a look at how several other types of drugs can impact drivers’ performance. Whether you call it pot, cannabis, Mary Jane or something else, marijuana can have a suprisingly profound impact on driving skills. This has become more of a concern since seven states and the District of Columbia of Columbia have now legalized the recreational use of pot, many other states have decriminalized possession of small amounts of it and other states are allowing its use for medical reasons. One of the problems in determining the effects of marijuana is that it can be smoked or eaten in food, which can affect the way that the body reacts to it. The amount of THC (delta-9-tetrahydrocannabinol) in products also varies. In addition, there are no good tests to determine how much THC is actively influencing a driver, since the chemical remains in the bloodstream for durations that are hard to predict through simple tests. For instance, the half life of the drug and its metabolites depends sensitively on things like your weight, your genetics, your metabolism, etc. In general terms, however, it’s clear that marijuana can have a detrimental effect on driving. A study at the University of Iowa, funded by the National Institute of Drug Abuse, looked at the impacts that inhaled marijuana had on driving. (Researchers used a driving simulator). As the levels of THC in their bloodstreams increased, the study participants showed increased weaving within a lane of traffic. (They did not, however, leave the lanes or speed while weaving as often as those participants who consumed alcohol did.) The researchers also found that those who consumed both alcohol and marijuana did worse than drivers who had consumed only one of the substances. Like marijuana, cocaine can have physical effects on drivers that include heightened nervousness and greater alertness but poorer concentration. Unlike pot smokers, however, cocaine users are more likely to exhibit reckless driving behaviors and/or reduced driving ability, according to a 2008 article in the Traffic Injury Prevention Journal. The National Highway Transportation Safety Administration (NHTSA) website notes that the observed signs of cocaine impairment in driving performance have included subjects speeding, losing control of their vehicle, causing collisions, turning in front of other vehicles, high-risk behavior, inattentive driving, and poor impulse control. It further states that as the effects of cocaine wear off, subjects may suffer from fatigue, depression, sleepiness, and inattention, which can all impact driving. Not all drugs have a negative impact on driving. Medications for attention deficit hyperactivity disorder, such as Adderall, Ritalin and Concerta, can actually improve driving skills. Benzodiazepines are a class of drugs used to treat disorders such as anxiety, panic attacks, depression and insomnia. Common “benzos” include Klonopin (clonazepam), Ativan (lorazepam), Valium (diazepam) and Xanax (alprazolam). Benzos can be very helpful in treating people with anxiety and most people can use them safely. But according to established research, users can suffer a battery of side effects that include drowsiness and a hangover-like-state that affects driving ability. Many people worry about the effects that marijuana legalization will have on DUI. But the dangers of driving while under the influence of benzodiazepines may have been under reported. When the State of Alabama’s Department of Forensic Science conducted a review of traffic stops, they discovered that benzos were the second leading cause of impaired driving in the state. They found that Xanax was involved in 29 percent of DUI cases in the state, while marijuana was involved in only 23 percent of DUIs. 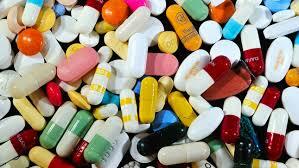 Drugs like Valium (diazepam), Halcyon (triazolam) and Librium (Chlordiazepoxide) are all examples of tranquilizers. They may have effects similar to alcohol on driving: they dull the senses and impair decision-making ability. Oklahoma’s Emergency Medical Services Authority says that the use of tranquilizers can lead to a lack of coordination, altered perceptions and slower reaction time. Drivers on tranquilizers don’t track the road as well as sober drivers, struggle to maintain lane positon and frequently neglect roadside instruction.